Algeria's President Abdelaziz Bouteflika has resigned after weeks of mass protests, the state news agency APS reports. 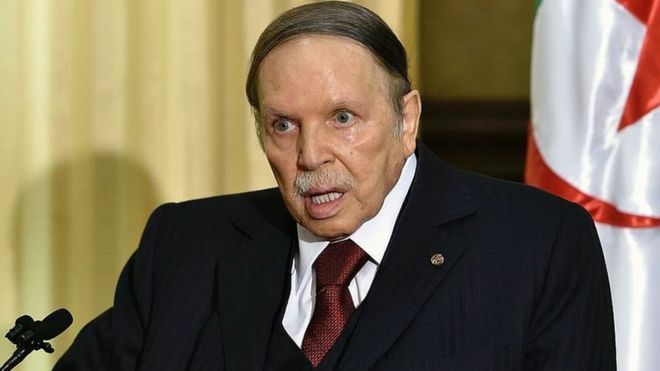 Mr Bouteflika, who had been in power for 20 years, had already dropped plans to seek a fifth term as opposition to his rule grew. He suffered a stroke six years ago and has rarely appeared in public since. Leaders of the protests had rejected Mr Bouteflika's offer to go by the end of his current term - 28 April - as not enough. The demonstrations have also led to calls for the whole political system, in which the military plays a significant role, to be overhauled. The governing National Liberation Front (FLN), which postponed elections, had vowed to organise a national conference on reforms.